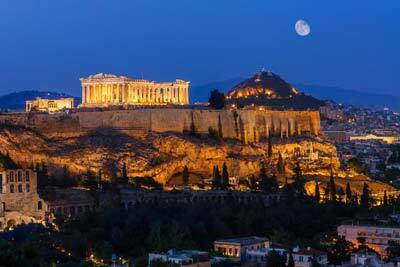 Where is the active volcano of Santorini and most active of Greece? 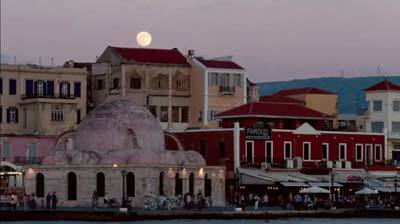 Which is the maniera of Santorinian architecture? How about three level buildings in a lost city considered by many as Atlantis? 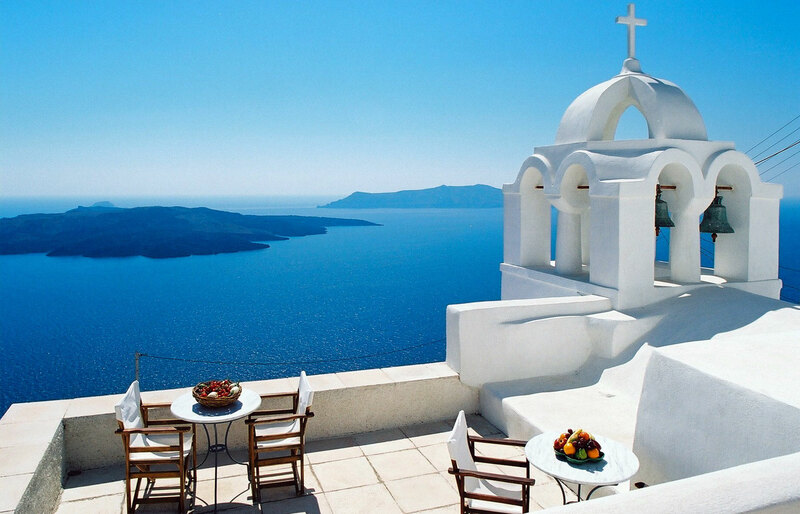 Santorini secrets told through 11 intresting facts about the most beautiful island in the Aegean and possibly the whole world. The active volcano is not Nea Kameni . The active crater of the volcano is not Nea Kameni, but actually at the bottom of the sea at Koloumbo, north east of Santorini island. 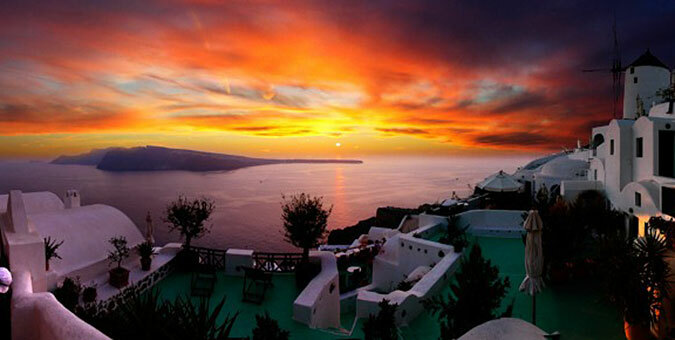 Santorini caldera is the only inhabited on the world. It is the only place in the world where cavehouses exist in volcanic soil. The name Thira comes from the mythical king of the Spartans Thiras, that came to the island at the 10th century BC (600 years after the Minoan eruption) and founded the city at Mesa Vouno. 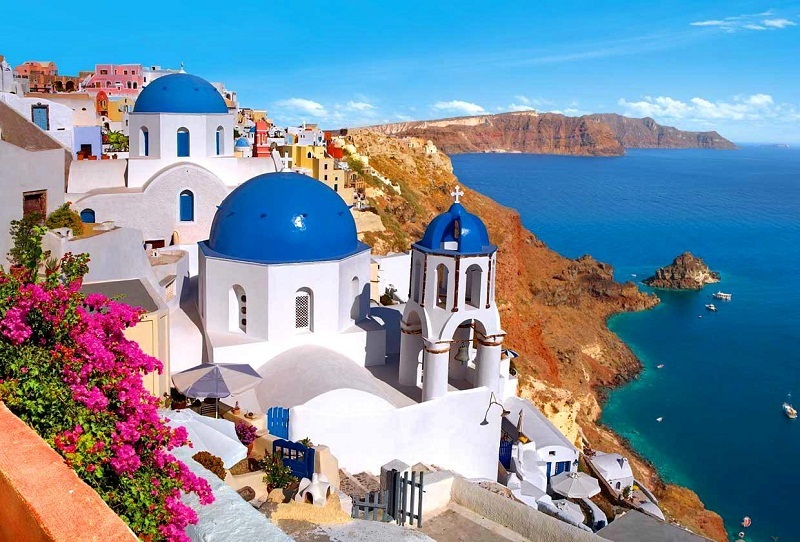 The name Santorini comes from the Venetians and the 12 century AC, when they called the island Santa Irina, because of the chapel of Saint Irini either in Thirassia or Perissa. The ancient name of a circle island was Strongili (means round in Greek), an island formed by lava. With the minoan eruption the caldera was formed and three islands remained around it. Those islands are Thira, Thirassia and Asrponisi. Later with other eruptions Palia and Nea Kameni island rose from the sea. All the 5 islands is what we call Santorini. The main product of Santorini was… pumice stone. For many years about 2 millions of pumice stone were exported mainly for cement production. Suez canal was built mainly with Theran soil. The main sea resort of the island . In 1956 a strong earthquake destroyed several settlements of the island and the famous Kamari, which is today the main beach resort with the most beach bars on the island was created. It has 12 winemakers, that make the best wine in the Mediterranean. Santorini was the island of pumice stone. It was the main resource of the island till 1980. Next to the port you can see the location where Sea Diamond sunk. 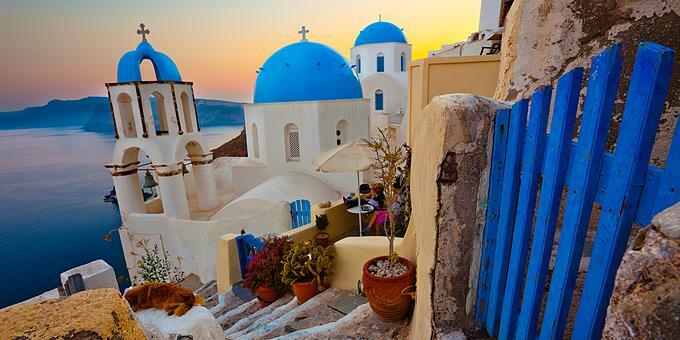 Santorini is the main and most propable location for Lost Atlantis.